On Tuesday, May 16th, 2017 at 7:30 A.M. we held our Annual Breakfast at the Lifestyle Enrichment Center. 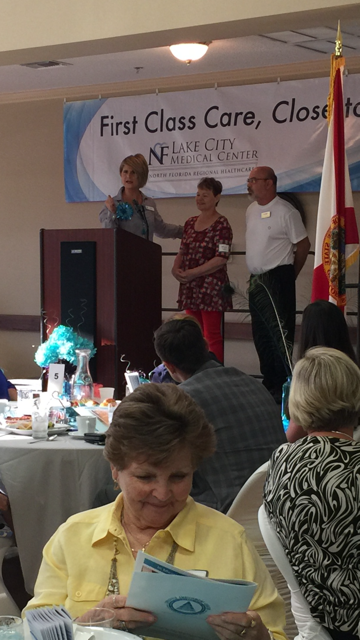 Our Breakfast was sponsored by Lake City Medical Center, and our Mistress of Ceremony was the dynamic Jill Adams, CFO of Lake City Medical Center. As guest began to arrive, there was enjoyable background music playing by Tony Buzzella (Dixie Jazz Express). A great time was had by all, as our two (2) guest speakers were Beverly Taylor and Florence Hewitt. Both these ladies gave their testimony of the great experience and life change from coming to the LEC. 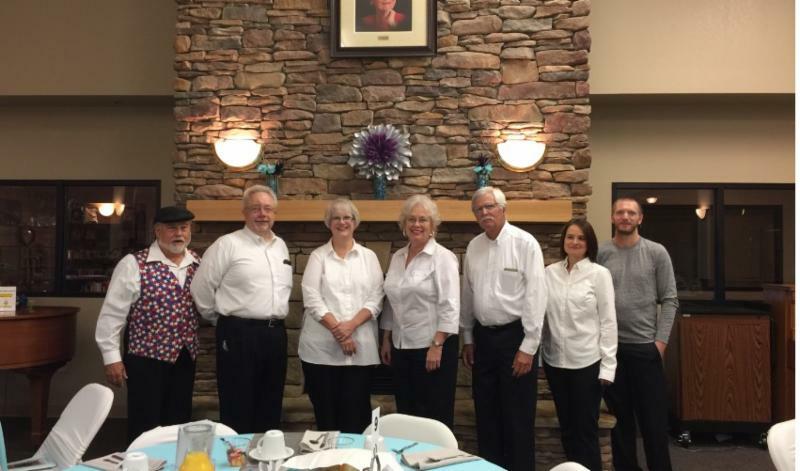 With over 100 guests at the LEC, our volunteer servers and kitchen staff made sure everyone had a wonderful breakfast and was made to feel welcome, thanks to DeAnna Law, our Activities Director! Mrs. Debby gave Awards to past Board Members and thanked everyone for coming and the great support that everyone has given to our Seniors. Our Heartfelt thanks to everyone who attended and gave their donations, support and services. teacher for thirty-seven years. She is a wife, mother, nana and care giver. When her mother came to live in Lake City in 2011, she sought for activities to help her mother better adjust. Her answer came through the Lifestyle Enrichment Center. Support group involvement provided much needed information and guidance for her as a new care giver. Her mother enjoyed quilting, arts and crafts, birthday lunches, holiday lunch outings, and special programs just to name a few activities. She thrived in this safe productive environment. 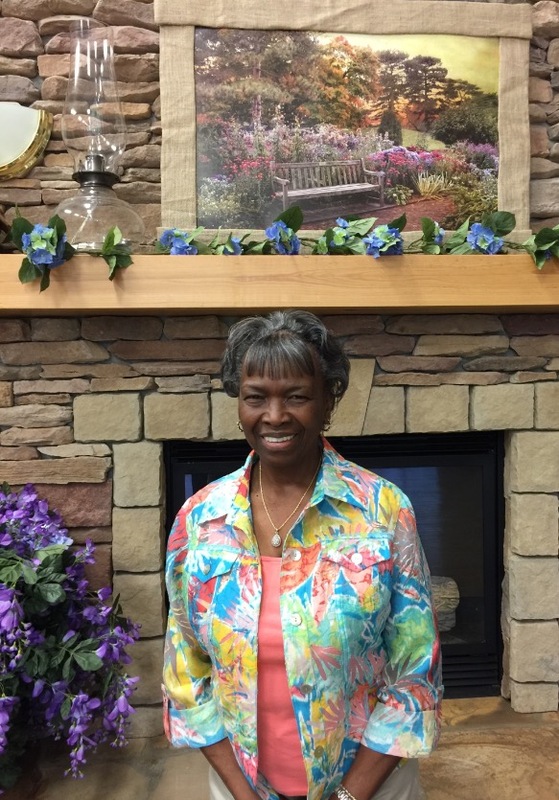 After continued support group involvement, Mrs. Everett was invited to become a member of the board. She has served on the board since 2014. Being a member of the board is a way to serve the seniors of Columbia County. Tom Savage was born in Delaware in 1948. He was number 11 out of 16 children. He lost his father when he was only 12. At 16 his family moved to New Jersey where he graduated from High School. After High School Tom joined the Air Force where he was trained in aircraft maintenance. He retired after 38 years then Tom joined the Air National Guard unit and was activated twice for the Gulf Wars. Later he moved to Lake City where he married his wife Vanessa. 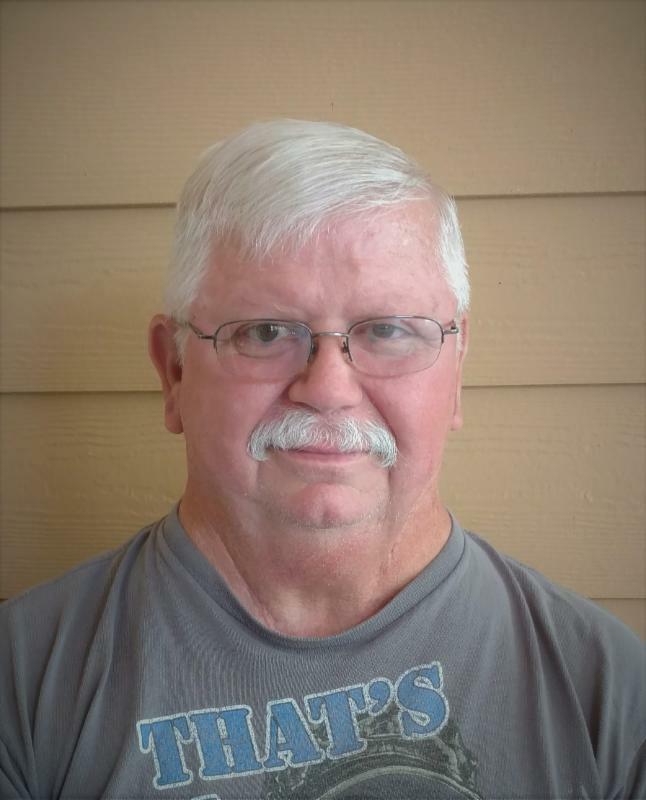 Tom was chosen to be the May Volunteer of the Month because of his dedication to the rehabilitation of our gym patrons. He is always on time and dependable. One of his best traits is his ability to empathize. Tom is making a difference in the lives of others and he loves what he does. We are very thankful that Tom has chosen to put his time and effort into LEC. I leave you with this thought about Tom Savage …. His Character shines bright in our gym. Thanks again Tom for being our star this month. May was a busy and exciting month at Lifestyle Enrichment Center. 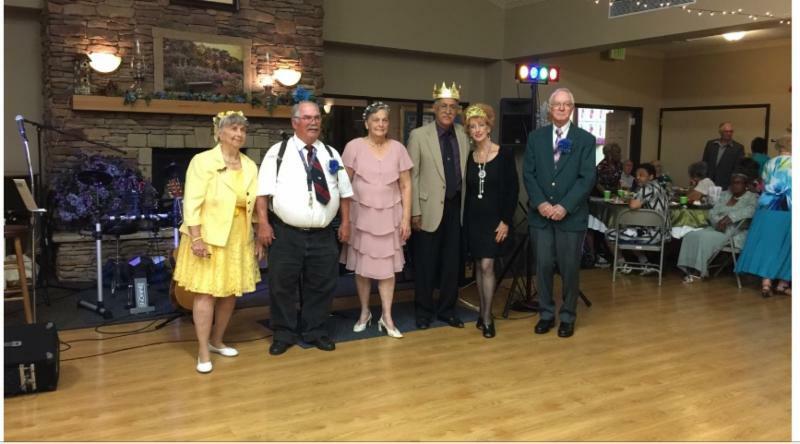 We finished our month on Friday, May 26th with our annual prom for our seniors, where a new king and queen were crowned. Everyone enjoyed dancing and listening to the “Vintage Band”. 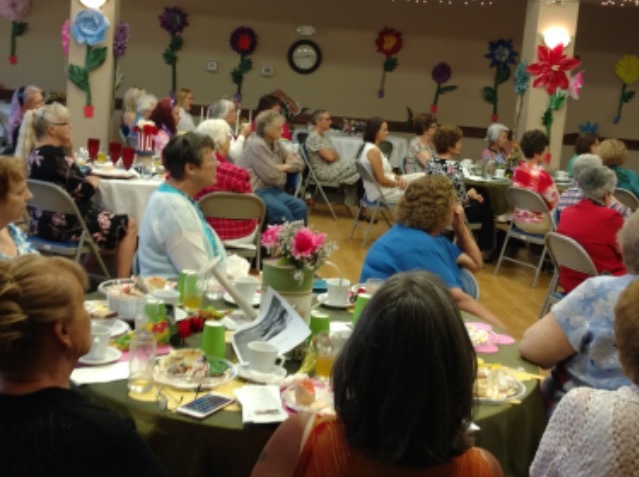 Following the prom, Saturday, May 27th, local churches were invited to the Lifestyle Enrichment Center for a tea party with a Guest Speaker. Tables were hosted and decorated by the churches that attended. At a young age, Christina Church stated it made her feel good to be able to help my Grandma with her mother who was confined to bed. 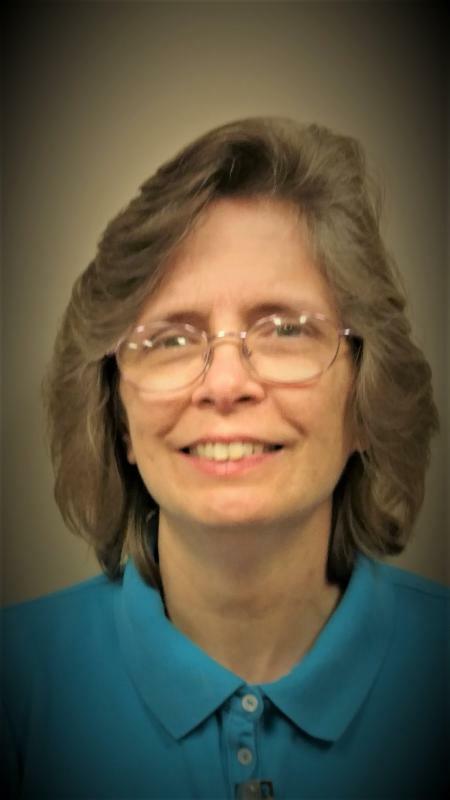 Becoming a Certified Nursing Assistant (CNA) just seemed natural for her because it provided her the opportunity to do what she enjoys…helping people. Christina has been a CNA for quite a few years; twelve of those with the Columbia County Senior Services in Lake City. Eight of those years were spent working with the In-home services providing services to homes located in Columbia County. 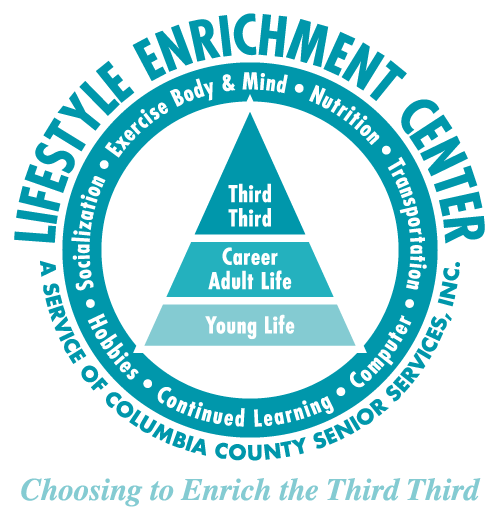 Almost four years ago, the Columbia County Senior Services opened a department in the LifeStyle Enrichment Center know as “The Club”. This program is licensed through the Agency for Health Care Administration (AHCA) and must meet rigid regulations to be licensed. This is a day program where persons with a diagnosed memory disorder which has been caused by dementia, Alzheimer’s, a stroke or other source of memory loss. Participants vary in age and levels of memory loss. They come to “The Club” through word-of-mouth, referral by the Veterans Administration, other agencies, and community awareness. “The Club” is funded by private pay participants, Veterans Administration, other Long Term Care Agency referrals, and programs offered through Columbia County Senior Services as a provider under Elder Options and Department of Elder Affairs. Christina is serving as a CNA to the Director of “The Club” who is a Registered Nurse. Christina shared with us that it is the little things…the “aah”..moments when a participant realizes he or she is really participating with the activity being presented. That activity may be reminiscing about the past or something as simple as interaction with each other. This may be when one participant is helping the others out to answer a question; holding the door open for one another; or the participant just can’t recall something, but a hint or cue from another participant encourages the memory of the answer. When you least expect it, one of the participants may start to sing along with the music and you say to yourself “listen, he or she is recalling words of songs which may be gospel, country or patriotic. These are our “aah” moments when you feel you are providing a participant with some enjoyment. It takes a special person to work in an area that must be highly secured for the safety of the participants as an attendant is always required to be in the area. You must be able to work with participants from different backgrounds, different ages, different levels of loss and different levels of needed physical assistance. Christina is one of those special people and adapts quickly to whatever action is needed at the time. Thank you Christina for your dedication to this department of the LifeStyle Enrichment facility.